Are you ready to see the country in comfort and luxury? 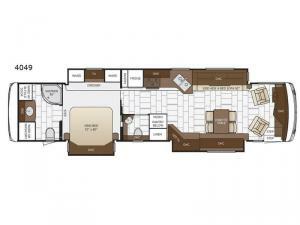 Then come choose this Ventana 4049 class A motor home by Newmar. 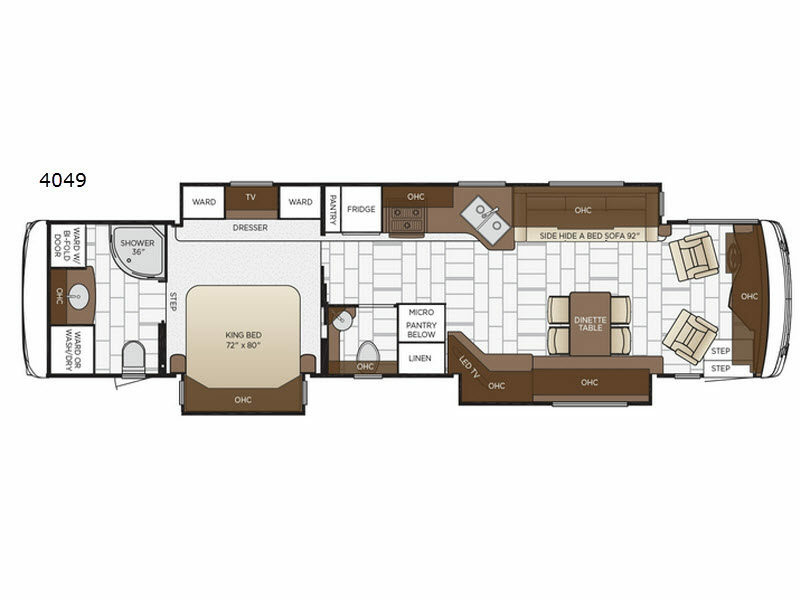 This model features triple slide outs, plus a bath and a half! Enjoy visiting with your family and friends in the living area at the 92" hide-a-bed sofa and you can eat your meals at the free-standing table. In the corner of the curbside slide out there is a LED TV where you can watch a movie. The convenient half bathroom is mid-coach and the master bath is located in the rear of this model. Mom and dad will enjoy the extra sleeping space with the king bed plus there are two wardrobes in the room for all of the hang up clothes!